Granola cookies take all the great benefits of granola and put them into a package that is hard for anyone, big or little, to resist. Who can say no to freshly baked cookies? These healthy granola cookies are sweet, chewy, and wholesome cookies full of oats, fruit, and nuts. 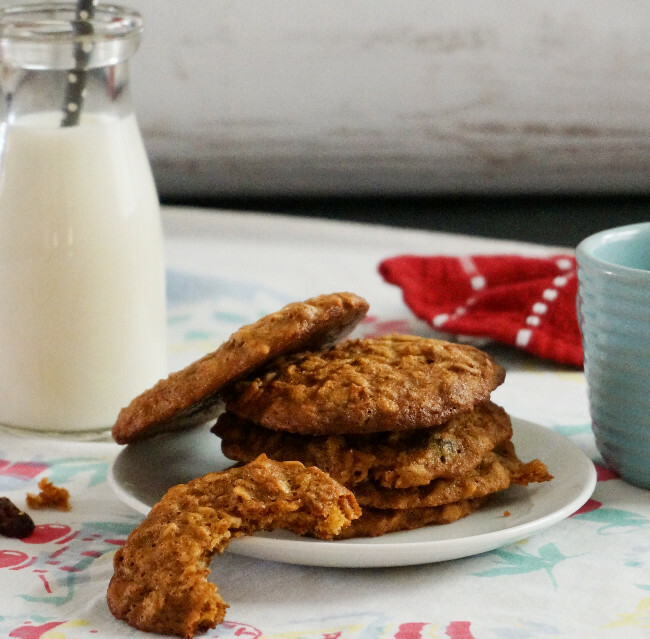 A healthier take on one of our family favorites, the classic oatmeal raisin cookie, they share the great similarities, but ditch the high fat and sugar content. As promised, today I am showing you a great way to use the Cranberry Almond Granola recipe I shared last week, Granola Cookies! I have made these cookies so much since school started that I have the recipe memorized. 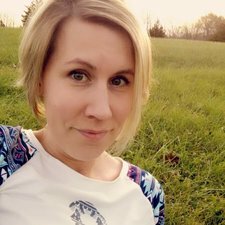 My kids are funny, like there are certain baked goods that I know no matter how amazing they are, they just won’t really eat much of them. For instance, pies and cakes. I take those over to my mother in law’s house to be sure there aren’t leftovers to tempt me later because I know the kids will leave those for me. But muffins or cookies? They don’t stand a chance around here. It’s always open season on those suckers. Those I have to hide or sometimes I put a post it note on my cookie carrier “DO NOT EAT!” so that they can actually be taken to coffee hour at church, else those puppies are gone in a flash! To be honest I actually developed this cookie recipe in an effort to sneak in a somewhat healthy treat into my kids lunches. Sometimes I’m tricky like that. I’ll make healthy stuff and then just not tell them that it’s supposed to be healthy. Because I’m tricky! I’m tricky, tricky, tricky! Sorry, not sorry, I’ve been listening to some old school rap again. It’s been a totally 80s-90s week around here. At least you don’t have to see my dance moves that go along with them. Unless you just happened to drive by my house after the football game on Friday when my oldest son and I were having a 90s dance party in the driveway. Ha. Whoops, back to the cookies. As it seems to go with most of my plans, it didn’t really work out the way I intended. These cookies never last long enough for them to get packed into the lunchboxes. As soon as the kids see them, they are gone! So they haven’t been the lunchbox favorite, but they have indeed become a favorite. The dough for these cookies is a little different from most, because it’s not dough-like at all. It’s actually more like a cookie batter. The first time I made them, I was sure I’d just wasted a bunch of granola because it’s a little unconventional. Once the granola is mixed into the cookie batter, they look almost like no bake cookies or something. But then they start baking and science takes over, turning little gloppy piles of granola into perfectly shaped cookies. The best science is the science of baking! Don’t you agree? 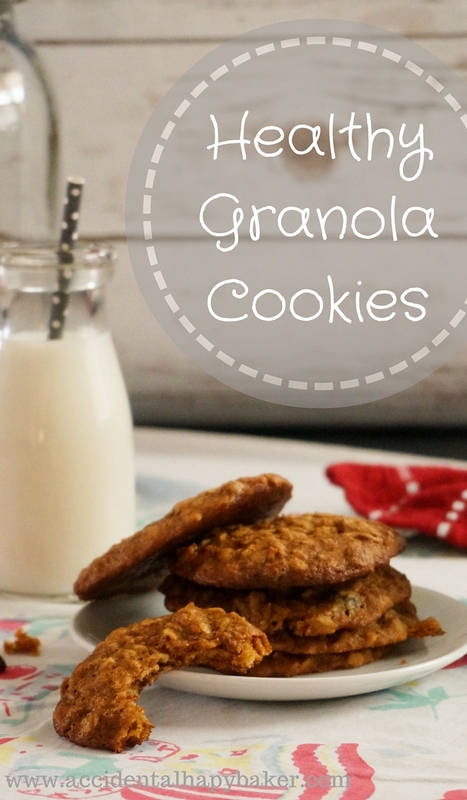 These delicious cookies are a great way for your whole family to enjoy granola. 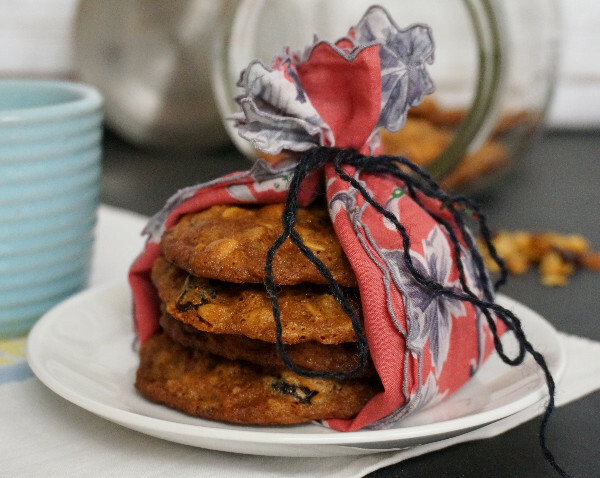 Packed full of oats, fruit, and nuts, they are a healthier alternative to the classic oatmeal raisin. Heat the oven to 350 degrees. Prepare baking sheets with nonstick cooking spray or line with silicone baking mats. In a medium sized mixing bowl, cream together the butter and brown sugar. Add the honey and one beaten egg, mix well. Add the flour and baking soda, mixing it thoroughly. At this point the dough will be kind of thin. This is normal. Mix in 2 generous cups of granola. Drop by tablespoons full onto the prepared baking sheet, leaving 2-3 inches between the cookies as they will spread. Bake for 10-12 minutes at 350 degrees or until edges are lightly browned. *I have tried this recipe with store bought granola, but prefer to use my Cranberry Almond Granola for these cookies. I cannot guarantee the results with store bought granola. Homemade granola is one of my favorite things. It’s so fun to bake with it. I can’t wait to try these cookies! I agree, Laura. You will love these cookies. Love anything healthy! 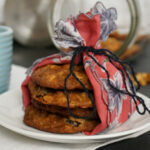 And these healthy granola cookies look fantastic! Great recipe! I think my little cookie eaters would love these too, they sound amazing! I love the idea of baking with granola, just because granola has such great flavor. And texture! These look fantastic! Yep, you got it. 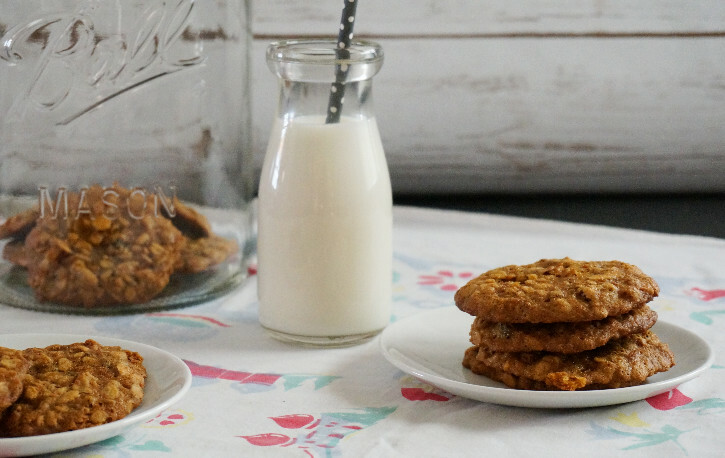 The granola does add great texture to cookies and flavor. There’s not a whole lot you have to add because the granola adds so much to them just by itself! My 3-year old girls would love these, perfect for a healthy lunchbox treat! 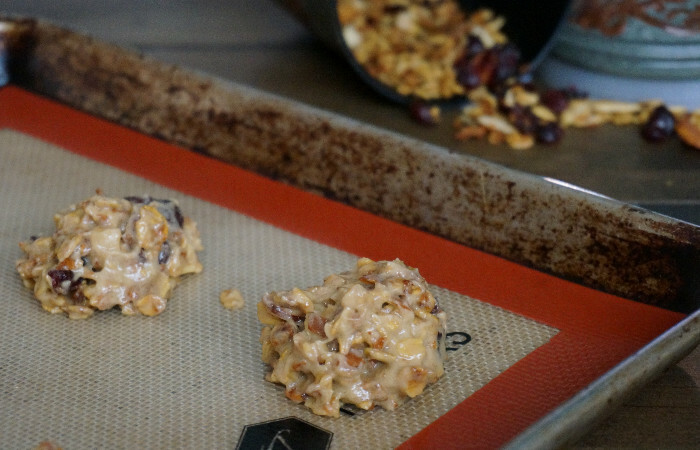 I’ve been on a trail mix kick with cookies and bars lately, may have to switch gears to granola to make these – they look delicious! Trail mix cookies sound good too! Yum.